Being a senior in high school, can put a load of pressure on a person. It’s normal for a teen to have some stress every now and then. Some teens go out and find a part-time job to make some extra money to get that new car, or to get some new clothes, but something that’s apparent is that we’re trying to grow up too fast. Throughout high school, our teachers as well as our parents teach us how to center our actions on goals. Generally that starts off as earning their first car, or saving up for college, but what is an appropriate goal to aim for at a young age? I personally know what it is like to be a teen that grew up way to fast. I surpassed appropriate goals at an early age and now I am living a more or less young adult life in a kid’s age. At just turning 18 last month, I should be at home with my parents, possibly working a part time job with my graduation the only goal I should be working toward. Instead, I sit in my house with my three roommates, working an almost full time job with the goal of maintaining work, school, and staying on top of bills. Social life is something hard to come by and enjoying the rest of my senior year isn’t looking to well. To see kids my age wanting to pursue the path that I live on worries me. Do they really understand what being independent truly is? Do they know what it feels like to take for granted the small things our parents do for us? Until now I didn’t really realize it either. 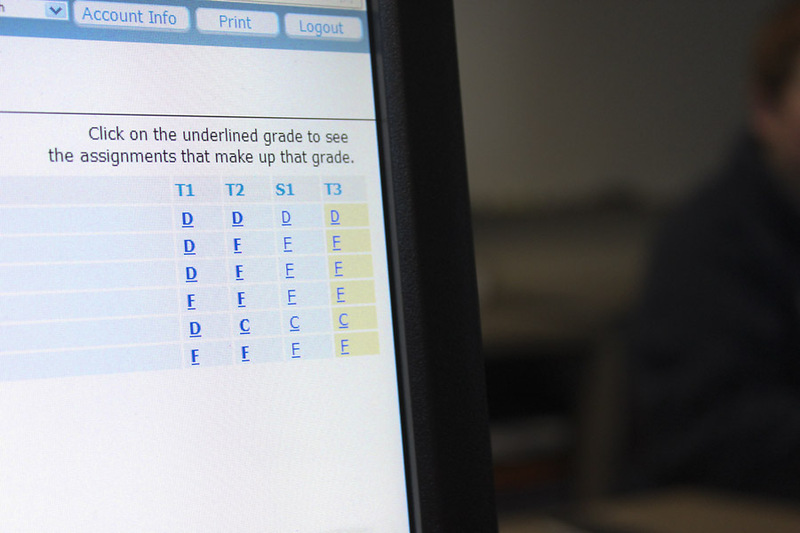 Some athletes or other students who have extracurricular activities know that dedicating yourself outside of school can really diminish your grades. With your mind focused more on social aspects rather than finishing your homework, you choose your fate. For some parents, they make it clear to their kids that school is their only job, grades come first. I didn’t’ respect that idea until now. To everyone my age, to the freshman this year; don’t worry about finding a job so soon in life. Don’t take for granted your parents and use them as a way to be successful in your high school career. The real world can wait for you, but graduating can’t. High school should be the best four years of your life. Freshman year is a time where we try and discover who we are. Something we fail to see is, you will change your mind a million times before you even get to your last year of high school. Choices and ideas of colleges and career paths will come and go well into adulthood but getting a proper education in high school first will help you later on, even if you still think those three years of algebra won’t apply to life post-graduation. I still don’t. Sophomores, I urge you most to take your grades into consideration this year. Failing one class shouldn’t be considered as ‘no big deal’, it will add up at the end and you will have to pay for it. Skipping school and slacking off shouldn’t be praised in school like it is amongst students. I can’t tell you how many times I’ve caught people snoring, doodling, or even walking out of the class room. As a senior, I am living what is known for a time where we become lazy, skip or figure we don’t need school anymore. If the millions of people who have graduated in our country knew that high school didn’t matter, would they have prepared us for it for eight years and suffer through it for four? Education and a diploma should be the only thing you’re focused on achieving right now. We have our lives to figure out who we are. Don’t be like me, too eager to grow up and overwhelming yourself. You can be who you want to be at any time, it doesn’t mean that time has to be right now. Now is the time to mold ourselves into who we can be or have the opportunity to be in the future. We’re all still kids, and we need to act like it.